Myxoma is more commonly seen in adult females. It is rare in young adults and children. 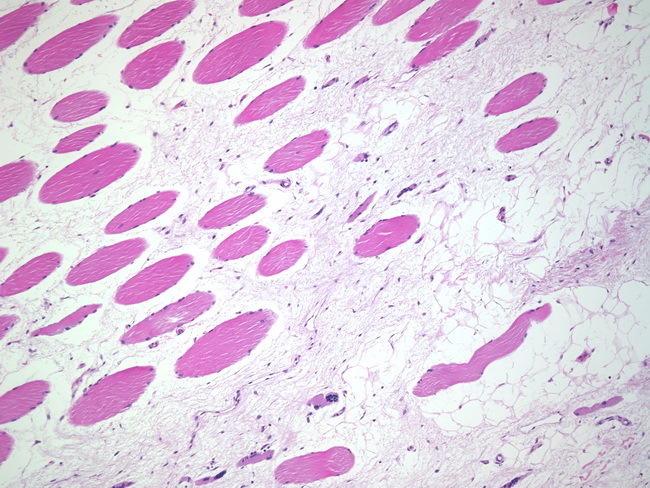 Muscles of thigh are most commonly involved (intramuscular myxoma). Multiple myxomas are seen in the setting of Carney complex - multiple myxomas of skin, breast, mucocutaneous pigmentation, pigmented adrenal lesions, and other endocrine abnormalities. Microscopically, myxomas are bland, hypocellular lesions.